Pilot liability insurance for damages caused to the leased aircraft. This insurance covers liability of pilots, instructors and student pilots for damages caused to an aircraft that is not in their possession. What all should your insurance cover? Our company requires our pilots, who leases our aircraft, to have this pilot liability insurance for damages caused to the leased aircraft. We require the insurance limit in amount of CZK 200 000 at least. This insurance limit is the same for pilots, student pilots or flying instructors.. Your liability insurance should cover flights in Europe at least. We recommend you to extend your insurance contract on an insurance of financial damages which means your insurance covers costs connected for example with a transport the damage aircraft to service or loss of profits for the lease of aircraft, etc. All our aircraft have accident insurance. Our company shares the risk with the insurance company to the amount of CZK 200,000. If a pilot causes damage to an aircraft we want him to cooperate and pay for the damage on aircraft and other financial damages that are connected with the accident as well. Financial damage means for example any lost profits or costs associated with transporting the aircraft to service. For new or experienced pilots, for training, sightseeing, photography flights and also for flights to distant destinations! 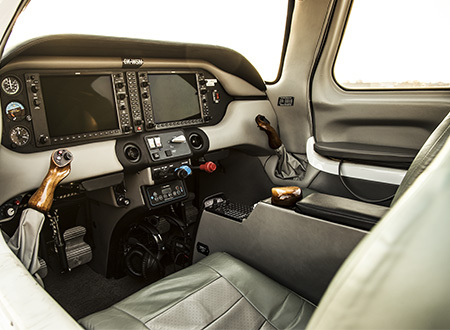 – Modern, reliable and luxuriously equipped aircraft. – Our aircraft are always ready to serve you! – Subscribe flight hours and get a discount! 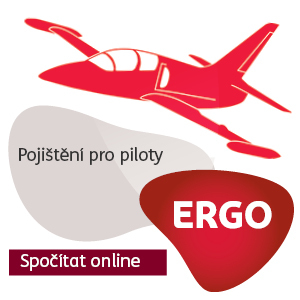 Aircraft can be rented separately or with a pilot.